The 'Gravity' star will once again work with George Clooney on the re-make. Sandra Bullock is to lead the cast of an all-female re-boot of the classic movie Ocean’s Eleven, according to a new report. The project will also see her re-unite with her Our Brand Is Crisis collaborator George Clooney, who will be taking up a production role. It’s the latest example of Hollywood’s recent preference for re-booting old movies with a female cast, such as the upcoming Ghostbusters movie which stars Kristen Wiig and Melissa McCarthy, and the Marvel comic book adaptation Doctor Strange, which will feature Tilda Swinton as 'The Ancient One', a role that was originally thought to be occupied by a male actor. The Clooneys now have three dogs, all rescue animals. George and Amal Clooney have welcomed a new member of their family – an adorable basset hound dog named Millie, whom they adopted from an animal shelter earlier this week. The San Gabriel Valley Humane Society said on its website that the Clooneys adopted the four year old dog from them on Wednesday (October 28th). Millie was found homeless a month ago, begging for scraps outside a restaurant, and was taken in by the shelter. The site says that George, 54, and Amal, 37, were looking for a basset hound to join their other rescue dogs, a cocker spaniel named Louie and a spaniel mix named Einstein, and found Millie’s picture via the site Petfinder. Sandra Bullock reminisces about how George Clooney once acted as her wing-man. Sandra Bullock has revealed how George Clooney once acted as cupid and helped her find a boyfriend. On Monday (26th October), Bullock appeared at the L.A. premiere of her new film, Our Brand Is Crisis, when she detailed how Clooney once helped with her love life. Sandra Bullock at the L.A. premiere of Our Brand Is Crisis, October 2015. Read More: Sandra Bullock: I Wanted Our Brand Is Crisis Director David Gordon Green On Board For 'Selfish Reasons'. Sandra Bullock wanted a director that could bring out the best in her. 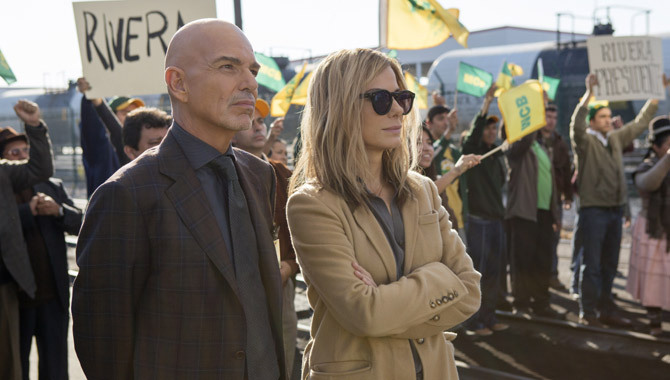 Sandra Bullock leads the cast for true story drama 'Our Brand Is Crisis', and while she's well known for some impressive acting stints throughout her career, she's crediting director David Gordon Green for her work in this movie; a filmmaker who came on board after a long struggle to find the perfect director. Bullock stars as a political campaign expert named Jane with a questionable past, who nearly loses sight of her own morals in a bid to beat her rival Pat Candy (Billy Bob Thornton) in the presidential victory race and clear her less then clean record. It's not just a straightforward drama though; as can be expected from Bullock, there's plenty of humour there and a whole lot of heart, creating something that she describes as 'emotionally complex' and thus a daunting task for any director. 6.6 million tuned in to watch Colbert present his first episode of 'The Late Show' on CBS. Stephen Colbert’s first episode as host of ‘The Late Show’ on CBS was a success in the ratings, according to Nielsen, drawing millions more than rival shows by Jimmy Fallon and Jimmy Kimmel. ‘The Late Show with Stephen Colbert’, which has been anticipated for several months since David Letterman retired as host in May after 22 years in the job, got an average of 6.6 million viewers on Tuesday evening (September 8th). This was more than double the ratings of its nearest competitor that night, with NBC’s ‘The Tonight Show starring Jimmy Fallon’ securing 2.9 million viewers and ABC’s ‘Jimmy Kimmel Live!’ with 1.8 million. Colbert has gone seriously big for his debut turn on 'The Late Show', which will be broadcast on September 8th. It’s been nearly nine months since he killed off ‘The Colbert Report’ to take over from David Letterman on CBS, but Stephen Colbert has now revealed some details about what ‘The Late Show’ will look like under his aegis. And boy, has he gone big, announcing that the star guest on his debut show will be Hollywood heavyweight George Clooney. The couple are protective over their private lives and images of their daughter Wyatt, and are taking the Mail's publishers Associated Newspapers to court in the UK. Hollywood celebrity couple Ashton Kutcher and Mila Kunis are taking the Daily Mail’s publishers Associated Newspapers to court in the UK over unauthorised pictures the outlet published of them with their baby daughter. According to the Hollywood Reporter, Kutcher and Kunis have filed a complaint against the publishers at London’s High Court, concerning two articles which appeared recently on the MailOnline that featured “wrongful publication of paparazzi photographs of family outings”, including images of the couple with their nine month old daughter Wyatt. The Clooneys have upset residents in the village of Sonning Eye in Berkshire with their plans to install an extensive network of cameras around the property. George Clooney and Amal Clooney are at loggerheads with their neighbours once more, this time over plans to install a brand new security system on their multi-million pound Berkshire property. Neighbours are up in arms over the proposals, which include eight cameras to be installed on poles just outside the boundaries of their property. According to local newspaper The Henley Standard, the Clooneys are looking to bolster security at their £10 million dream mansion near the village of Sonning Eye that they purchased back in October 2014, which they are still in the process of renovating. The plans for mounted cameras face opposition from residents who are complaining that they will be an eyesore and intrude on their privacy. The much-loved movie producer died suddenly of heart failure in Santa Barbara, California on Monday. Jerry Weintraub, one of the biggest names in the movie industry, has died suddenly at the age of 77. The iconic producer and ex-head of United Artists Studios passed away on Monday (July 6th) of heart failure following a short hospital stay. TMZ reported on Tuesday that the movie mogul began feeling unwell over the Fourth of July weekend and suffered a heart attack a few days after initially being diagnosed with a bowel condition. Weintraub had worked with some of Hollywood’s biggest names and had a crucial role in developing movies such as Nashville, All Night Long, the original, sequels and re-make of The Karate Kid, and the 2001 reboot of Ocean’s Eleven. George Clooney "The Worst Neighbour You Could Have"
Clooney and his new wife bought a multi-million pound mansion in Berkshire last year, but the completion date for the renovation keeps being put back and the noise is upsetting his neighbours. Residents of a Berkshire village near the town of Reading are divided over the presence of George and Amal Clooney as their neighbours – even though the couple are yet to move in! The power couple purchased a £10 million dream mansion in the village of Sonning Eye and were due to move in at the end of July when extensive renovation work had been completed. However, it seems as if that work is going to have to go on for a lot longer than initially anticipated – and that’s upsetting quite a few of their neighbours. 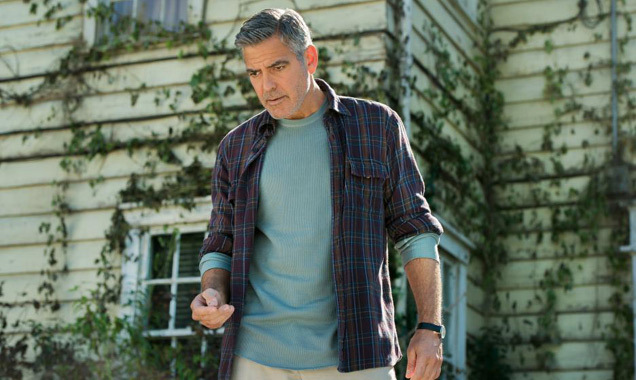 Continue reading: George Clooney "The Worst Neighbour You Could Have"
'Tomorrowland' is a flop, though Disney has Ant-Man, Inside-Out and Star Wars: A Force Awakens to come. Disney will lose between $120-140 million on Brad Bird's big-budget fantasy adventure Tomorrowland, according to sources. 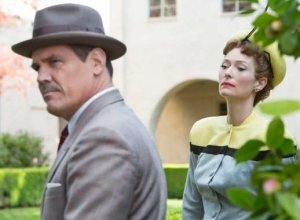 It represents the studio's biggest financial misfire since The Lone Ranger prompted a $190 million write down and raises serious questions about the quality of the script and effectiveness of the marketing. Tomorrowland is also the third big-budget bomb of 2015, with Jupiter Ascending and Seventh Son suffering similar fates. Meanwhile, low-budget hits such as Spy and Pitch Perfect 2 are thriving. 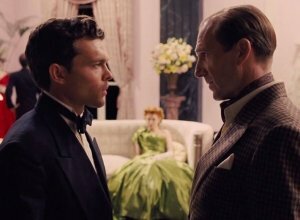 The new movie marks a change in cinema's obsession with dystopia. 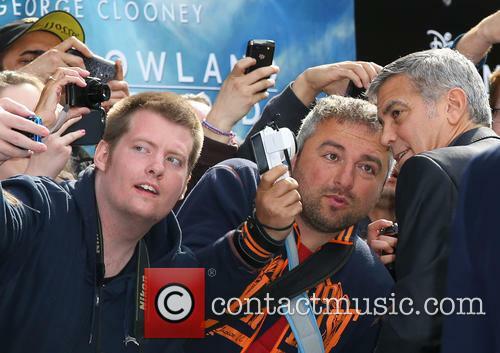 It seems George Clooney's happiness in his personal life, following his fairytale-like marriage to Amal Clooney, has been reflected in his work with him taking on a positive and uplifting story in Disney's 'Tomorrowland'. The actor is clearly glad for some respite amidst the barrage of Hollywood dystopias. With films like 'The Hunger Games', 'World War Z' and 'Divergent', it's clear that the idea of a dystopian future is a popular one in cinema, but sometimes it's necessary to take a break from the misery and hopelessness with a little Disney utopia. Of course, that's what Disneyland is all about - and that's where 'Tomorrowland' was born. Tomorrowland isn't quite as ahead of its time as the name suggests. Tomorrowland, Brad Bird’s tentpole action adventure, premiered this weekend to disappointing earnings, but still managed to come ahead of the previous week’s winner, Pitch Perfect 2. Tomorrowland checked in at $32,3 million at the end of the three-day weekend, meaning its overall four-day debut, counting the early release, comes out to $40,7 million. It’s a disappointing figure for Disney, whose profits from Tomorrowland were predicted to reach and pass the $44 million mark (according to Box Office Mojo) – it’s a miss, but not by much. 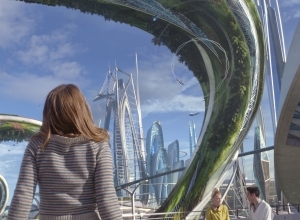 Tomorrowland offers a glimpse of a futuristic world. 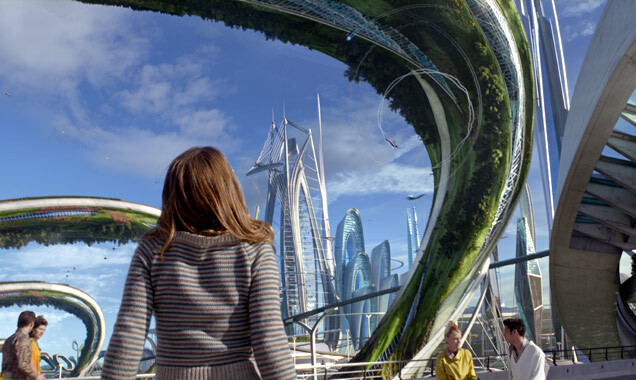 Tomorrowland came in behind expectations in North America, and will need strong word of mouth to end up in the black, considering the live-action fantasy adventure cost $180 million to produce. The worst impact was overseas, where the movie opened to $26.7 million from 65 market . 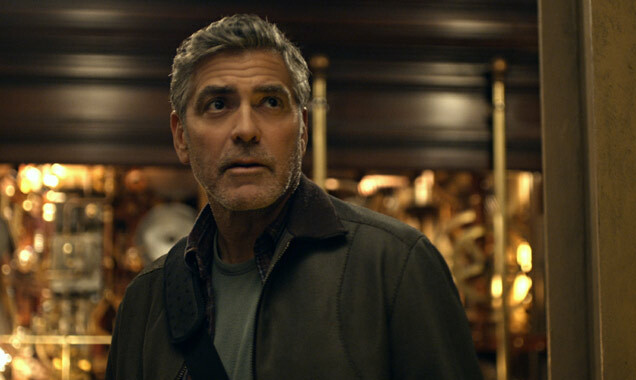 With his recent appearance in 'Tomorrowland', George Clooney has spoken about his optimism about a new intellectual property in cinemas, instead of a sequel or comic-book adaptation. 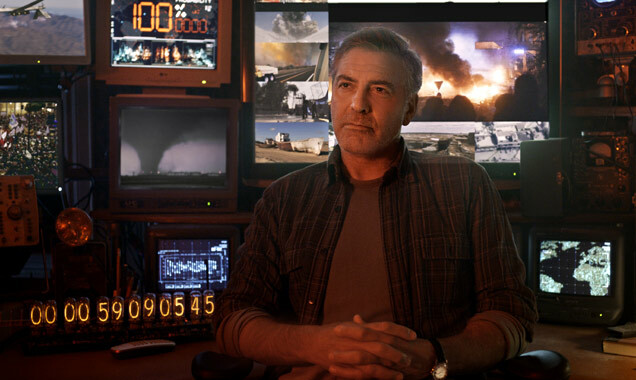 'Tomorrowland' is one of the only original blockbusters we'll see in cinemas this summer. "I think it's a really bold thing for Disney to be willing to do a film that isn't a sequel and isn't a comic book," says the movie's star George Clooney, who adds with a smile, "and putting me in a summer movie is a very bold thought." 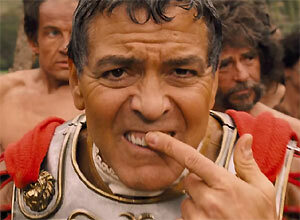 At 54, Clooney is feeling his age. 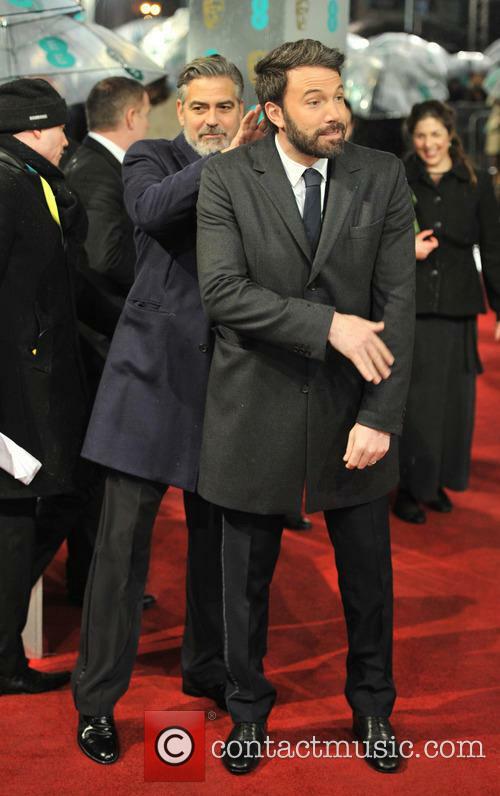 "I'm getting too old for this," he says, laughing. 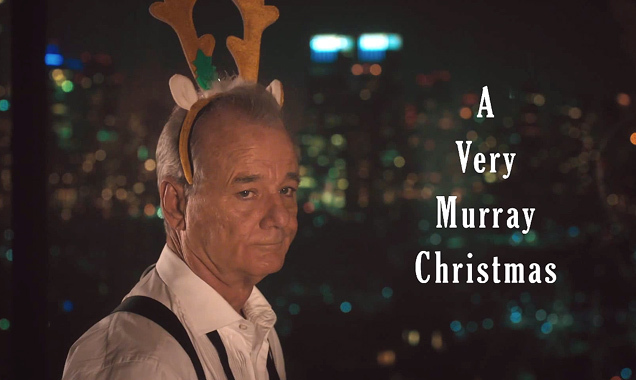 "The script said, '55-year-old, angry, bitter has-been, formerly handsome.' And I thought, 'Brilliant, you wrote that for me?' Then on the set I had to fight another old TV doctor [Hugh Laurie, aka House]. I was just getting beaten with a cane the whole time!" Did Disney Bring The Magic In 'Tommorowland'? So, did Disney do it again? We've heard about Disney's Tomorrowland for years now. 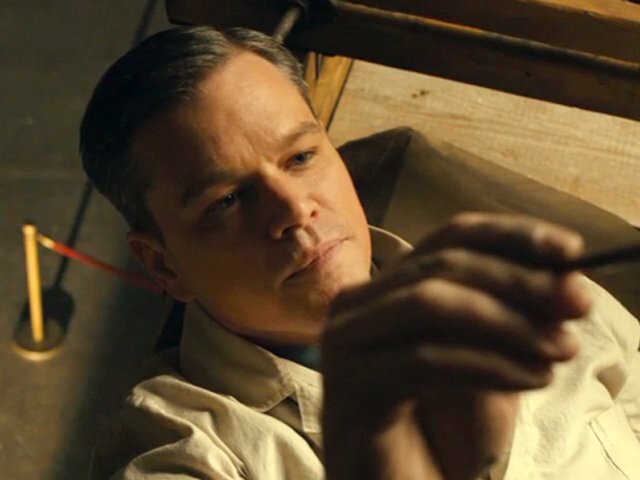 Brad Bird's mystery adventure had George Clooney attached from the outset and the story of a former boy genius jaded by dilussionment who teams up with an optmisitic teen to unearth the secrets of a hidden land certainly sounds like classic Disney fare. But how has it fared with the critics? 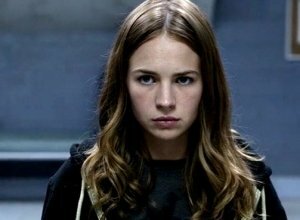 The people behind Tomorrowland have a strong pedigree - the screenplay is a joint effort between Lost writer Damon Lindelof and Brad Bird. Continue reading: Did Disney Bring The Magic In 'Tommorowland'? So How Did The World's Most Famous Ex-Bachelor George Clooney Propose To Wife Amal? The ‘Tomorrowland’ actor has revealed how he popped the question to his human rights lawyer wife, Amal Alamuddin. There was a time not so long ago when no story about George Clooney was complete without reference being made to the actor’s bachelor status. 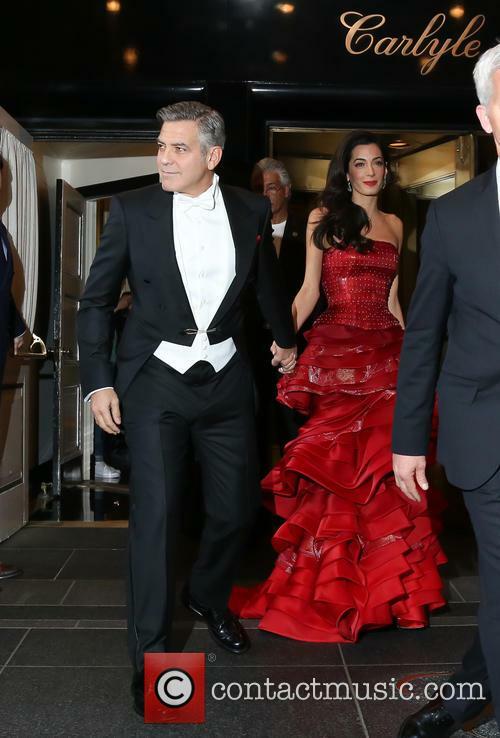 Yes for years Gorgeous George was the most famous bachelor in all of Hollywood, but then in 2014 he shocked the world by announcing his engagement to lawyer Amal Alamuddin. But when he finally did meet ‘the one’, how did George pop the question? George and Amal married in September 2014. 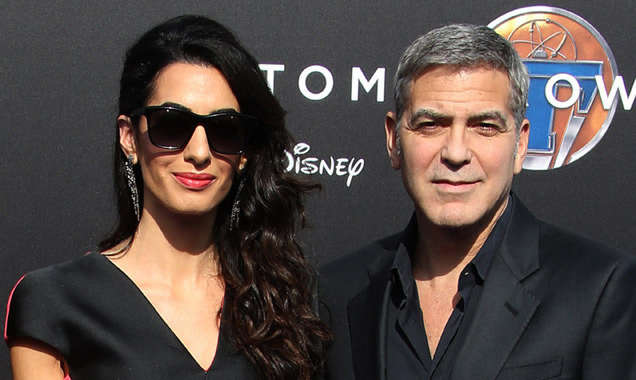 Speaking to CBS news on Tuesday, May 19, George opened up about his relationship with Amal, saying he knew fairly quickly that he wanted to spend the rest of his life with the human rights lawyer. Continue reading: So How Did The World's Most Famous Ex-Bachelor George Clooney Propose To Wife Amal? 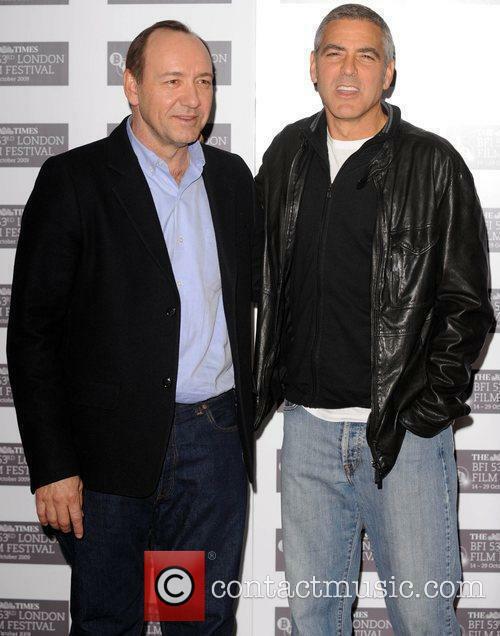 Clooney married the human rights lawyer in September of last year. They may have been married for eight months now, but the honeymoon period certainly doesn't sound like it’s over for George Clooney and wife Amal Alamuddin. 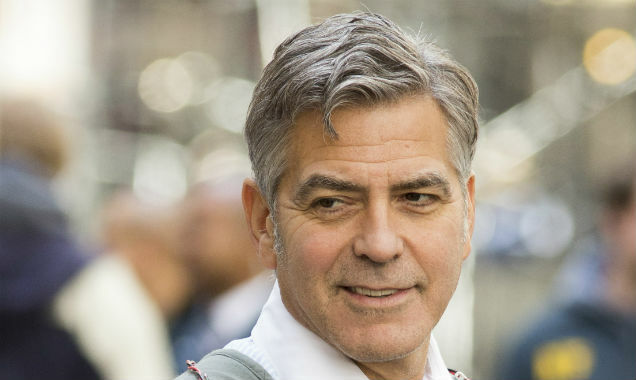 While promoting his latest movie Tomorrowland, former bachelor George has been gushing about his beautiful wife, who he deserves as, ‘one of the smartest people I've ever met’. George Clooney and his wife Amal attending the Met Gala last week. 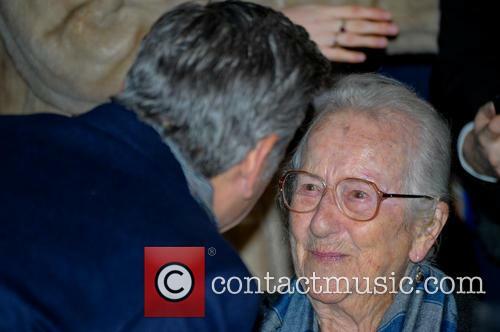 "She's an amazing human being,” the actor told Entertainment Tonight. "And she's caring. And she also happens to be one of the smartest people I've ever met. And she's got a great sense of humor." 'The Good Wife' star Julianna Margulies has been honoured on the Hollywood Walk of Fame. It's a good day for 'The Good Wife', as the face of the hit TV series, Julianna Margulies, has been honoured for her work both on and off camera with a coveted star on the Hollywood Walk of Fame. The 48-year-old actress is a supporter of the charity Project ALS, which aims to help find effective treatments and ultimately a cure for amyotrophic lateral sclerosis, also known as Lou Gehrig's disease. 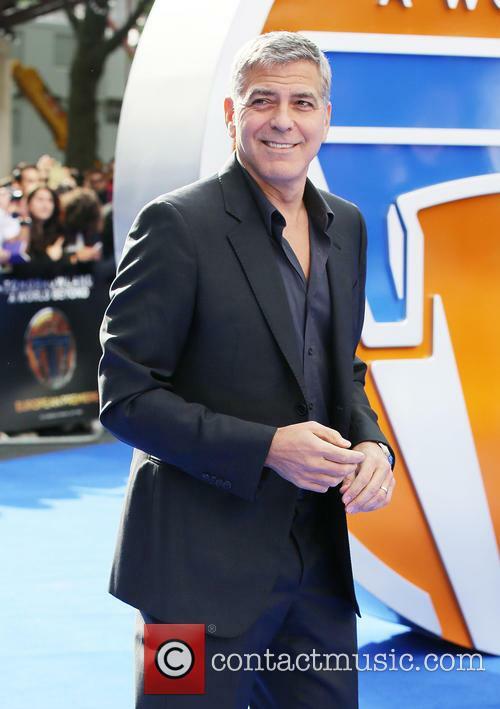 George Clooney will run the London Marathon in 2016. George Clooney will run the 2016 London Marathon after losing a bet with his friend, the former model Christy Turlington Burns, who completed the 26.2 mile course in under four hours on Sunday (April 26, 2015). Clooney had said he would compete in the event should the former Calvin Klein model finish in under four hours, and Burns clocked in at three hours 45 minutes, leaving the Oscar winning actor with no option but to put his name down for the 2016 edition. Marvel's Avengers were out in force in London this week for the world premiere of the sequel Avengers: Age of Ultron. Walking the black carpet were stars Robert Downey Jr., Chris Evans, Chris Hemsworth, Scarlett Johansson, Mark Ruffalo, Jeremy Renner, Elizabeth Olsen, Aaron Taylor-Johnson, Paul Bettany and writer-director Joss Whedon. Downey also gave a video interview, and later made the news when he walked out of a chat with a Channel 4 journalist who blatantly ignored instructions not to grill the actors about their personal lives. Click here to watch a rather more positive interview with Robert Downey Jr. Actors George Clooney and Jack O'Connell, and director Jodie Foster can be seen shooting a scene on the New York set of their new movie 'Money Monster'. 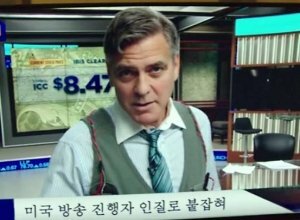 Clooney is wearing a grey vest over his shirt which appears to be connected to a set explosive devices. 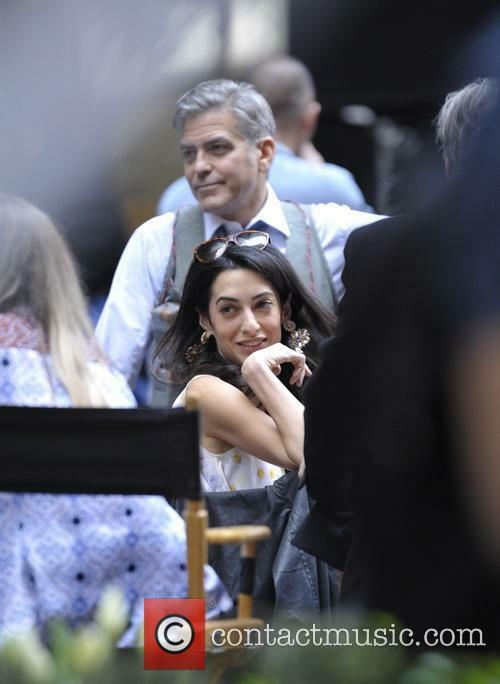 Clooney's wife Amal Clooney visited the New York set of the film. Snaps from the set of George Clooney's upcoming thriller 'Money Monster' in New York gave a startling sneak peak into the movie's plot as we see the Academy Award winning actor strapped up in a most unusual (and terrifying) ensemble. We're too excited. 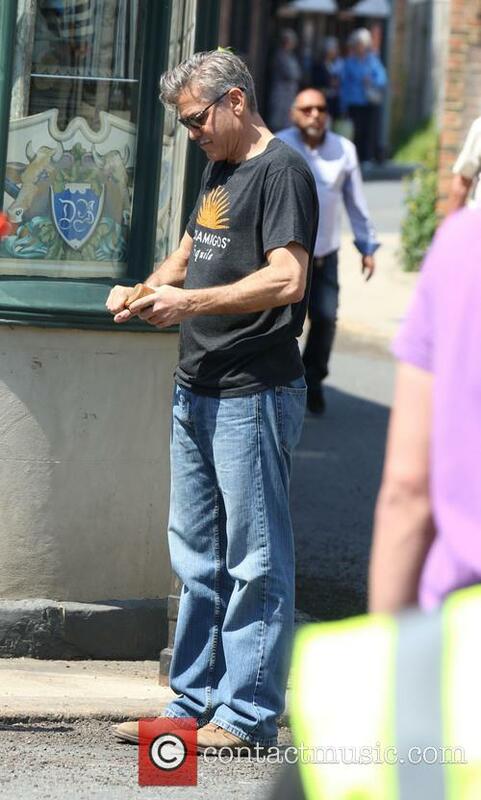 Newly emerged images from the film set of the drama showed Clooney wearing what can only be described as a suicide vest over his shirt and tie. The costume featured pockets containing what are clearly meant to be explosive devices, while a shifty looking Jack O'Connell clutches the deadly remote switch. The actor has previously complained about celeb spotters invading his privacy at his holiday villas in Italy. Celebrity self-importance time! George Clooney seems to have filed a restraining order against the rest of the world, with the news that the mayor of the Italian town where the actor owns two luxury villas has drastically raised the fine that can be imposed on members of the public getting too close to the properties. According to the Telegraph, Roberto Pozzi, the mayor of the picturesque town of Laglio on the shores of Lake Como, confirmed that those who create “problems of public order” when gathering near either of his properties will be liable to a fine of 500 euros (or $550), nearly five times what it was before. Amy Adams and Jake Gyllenhaal are in talks with producers of the upcoming film 'Nocturnal Animals'. 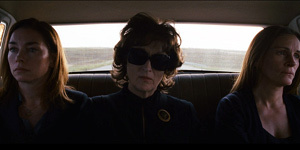 The film, directed by designer Tom Ford, is based on Austin Wright's 1993 novel, 'Tony and Susan'. Amy Adams and Jake Gyllenhaal are reportedly in talks to star in the upcoming film, Nocturnal Animals. Fashion designer Tom Ford is set to direct the film, his second following 2009's A Single Man. 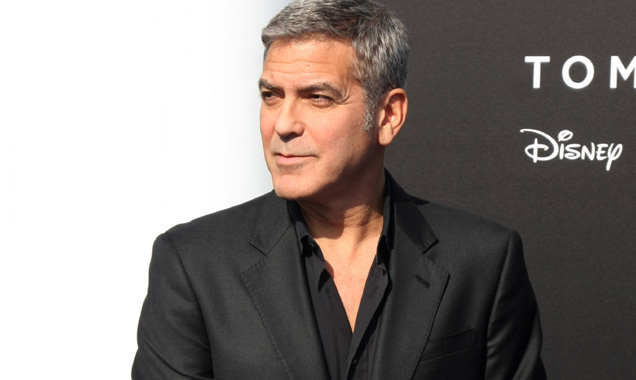 George Clooney and Grant Heslov are also on board to produce, through their Smokehouse Pictures production company. Amy Adams is reportedly in talks for Nocturnal Animals. Read More: Nightcrawler Might Be A Psychopath's Success Story, But That's Why We Love It. 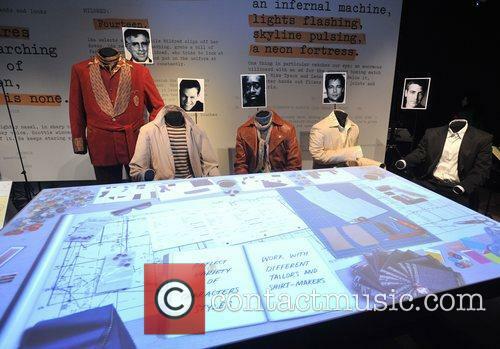 Ocean's Eleven, Brad Pitt, George Clooney, Eliott Gould, Matt Damon and Don Cheadle - Ocean's Eleven - Brad Pitt, George Clooney, Eliott Gould, Matt Damon, Don Cheadle Wednesday 17th October 2012 Hollywood Costume - press view held at the Victoria and Albert Museum. George And Amal Clooney's Twins "Stunningly Beautiful"